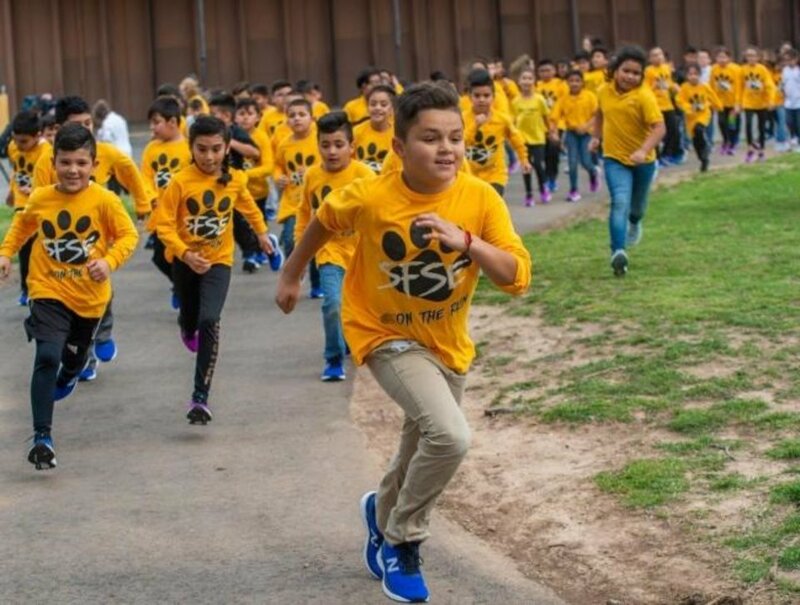 The Oklahoma City Memorial Kids Marathon teamed up with Oklahoma Cleats for Kids recently, providing new running shoes to the running club members at Santa Fe South Elementary School. About 175 Santa Fe South students will be participating in the Oklahoma City Memorial Kids Marathon on April 28. Students are running 25 miles after school and will complete their last 1.2 miles running through downtown Oklahoma City on Race Day. Kari Watkins, race director of the Oklahoma City Memorial Marathon, said, “Running, playing sports and being part of a team can positively impact a child’s life forever. The Memorial Kids Marathon connects fitness with important lessons about the history and mission of the memorial museum." Oklahoma Cleats for Kids (C4K) empowers kids to learn life lessons through sports by providing the equipment needed to play safely free of charge, a news release stated. "Working with the Memorial Marathon team on this distribution that places shoes directly in the hands of runners who need them is really a dream come true for C4K," Executive Director Stacy McDaniel explained. "We love partnering with organizations who care so deeply about the Oklahoma community, because we can do so much more when we work together." Gently used shoes and equipment for any sport, in any size may be donated to Cleats for Kids. Donations can be made at the Memorial Marathon Health & Fitness Expo at the Cox Center on April 26 and 27. For more information, go to okcMarathon.com or cleatsforkids.org.